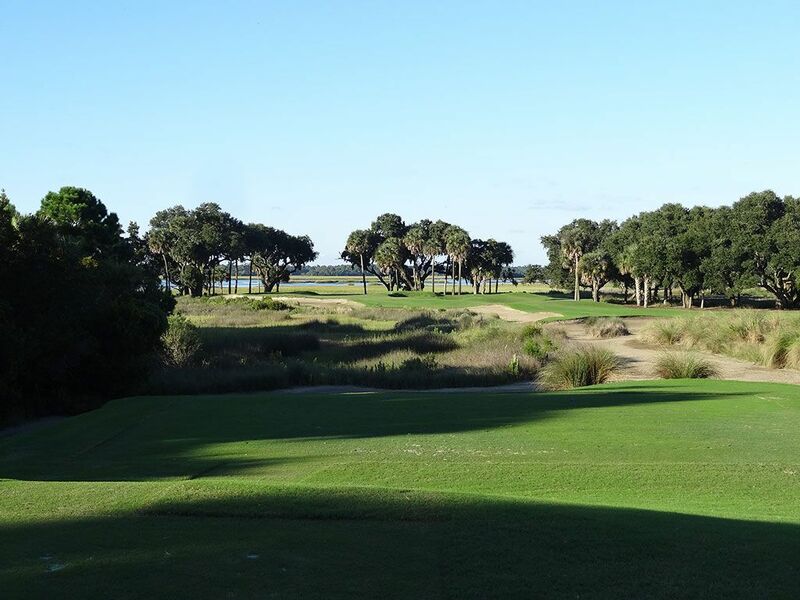 Course Website: Official Website - Visit Kiawah Island Club (River)'s official website by clicking on the link provided. 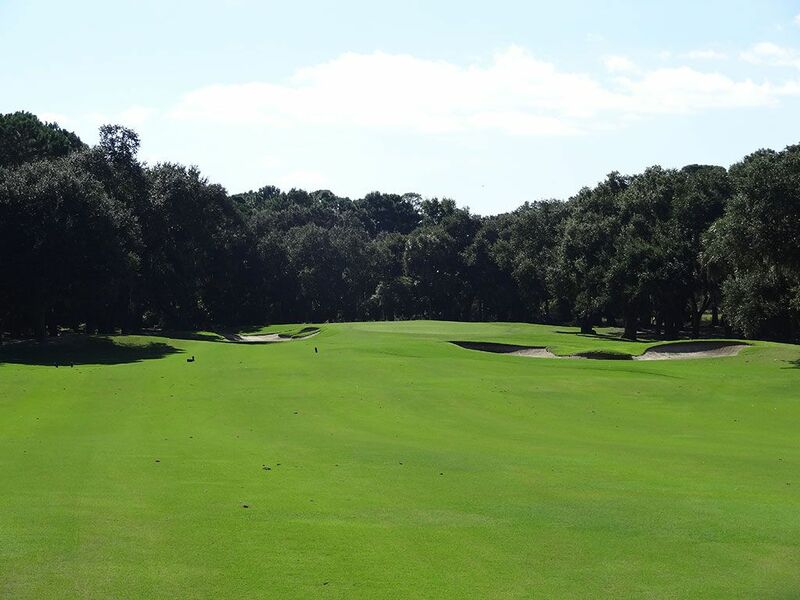 Accolades: Ranked 10th in South Carolina on Golf Course Gurus' Best in State list. 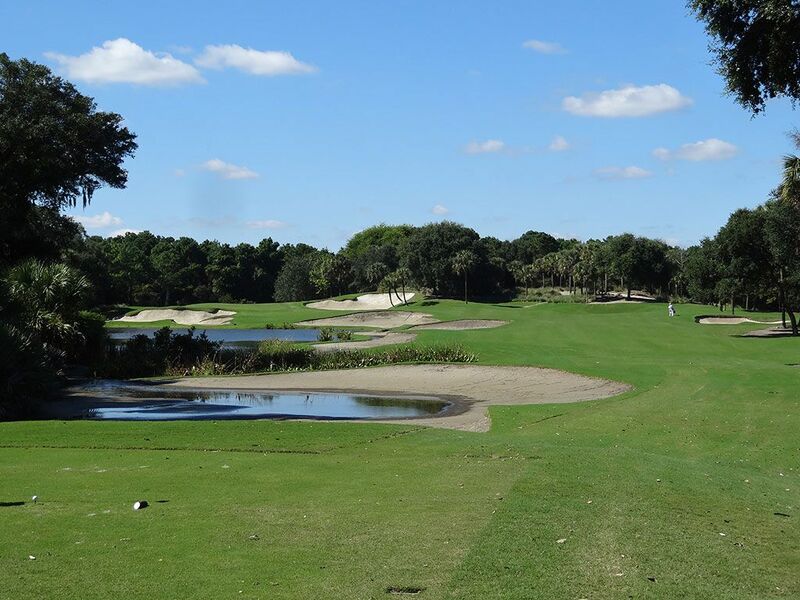 What to Expect: The River course is one of two courses (Cassique being the other) that are part of the private Kiawah Island Club located near the famed Ocean course which is separate and part of the Kiawah Island Resort. 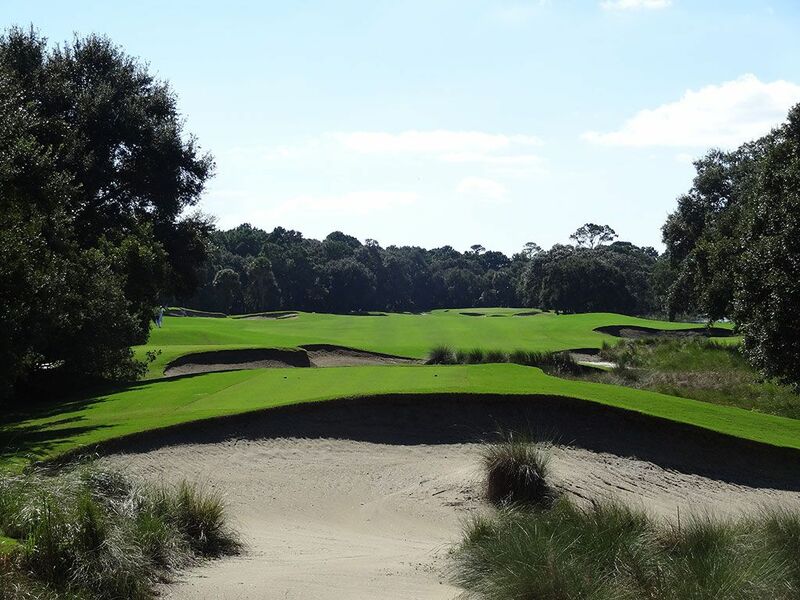 Tom Fazio brought his expertise to the site and designed a course that creates picturesque moments in the Carolina's lowcountry. 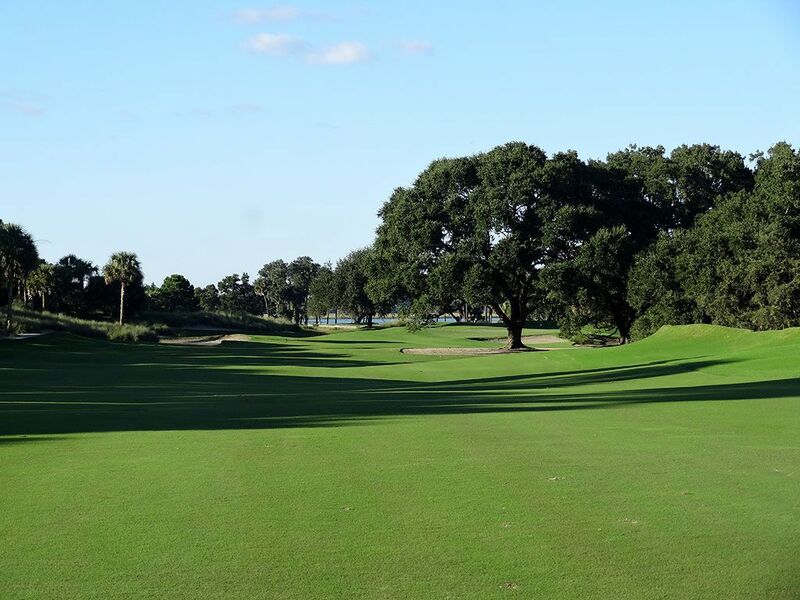 The course features large oak trees draped with spanish moss, immaculate conditioning, a plethora of bunkers, and captivating views of the river on the back nine. There is oodles of challenge to be had from the back tees as there are several forced carries to contend with and relatively deep bunkers. 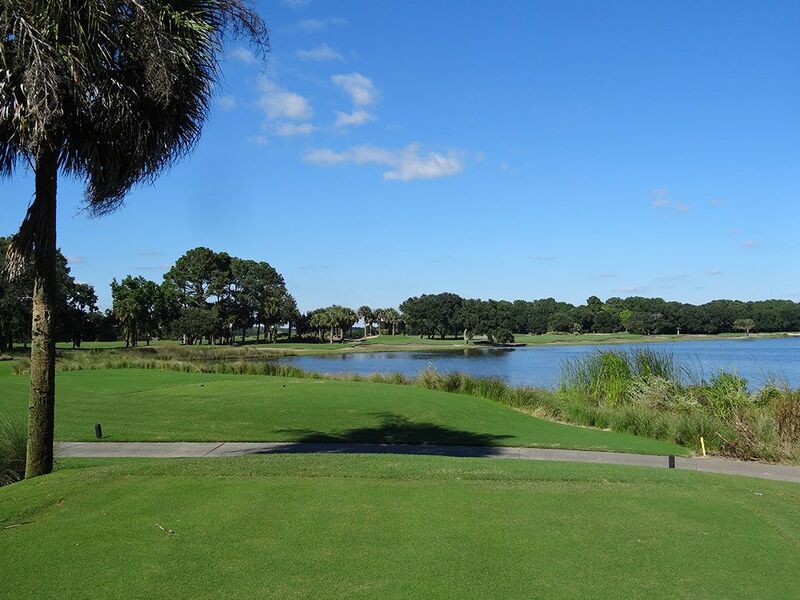 A variety of wildlife live on the courses including numerous species of birds, squirrels, deer, turtles, flying fish and the infamous alligators. In fact, searching for a ball near the edge of a water hazard on any of the Kiawah golf courses is not recommended unless you want to become like Chubbs from Happy Gilmore. The attractive par 3s are a major highlight at River with the 17th often regarded as the finest hole on the golf course. Caddies are a staple at the club and are happy to carry your bag if you decide to walk or ride along if you decide to take a cart. The club's facilities are stunning with beautiful architecture in the clubhouse and dining room, a scenic outdoor dining experience, and a men's locker room boasting a pool table and massive series of TVs located on a wall covered in seashells. 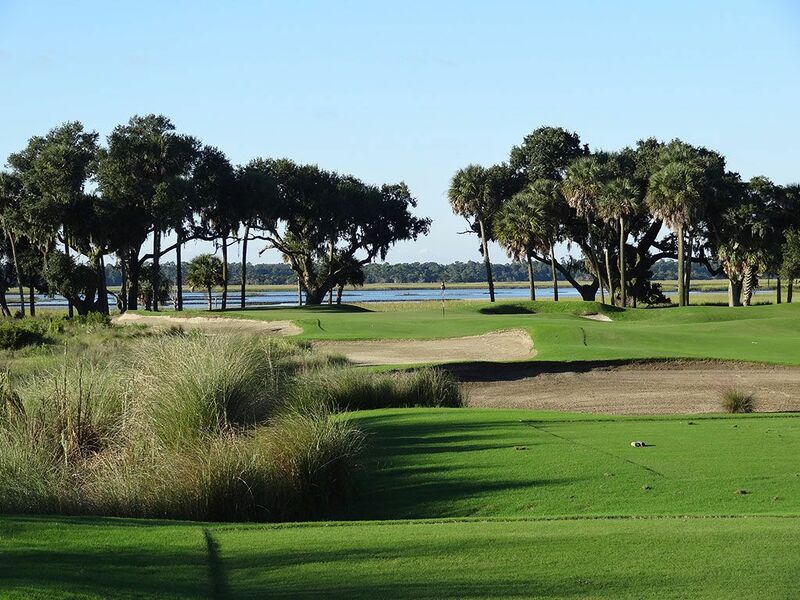 From the golf to the dining to the top notch facilities, Kiawah Island Club's River course is simply a first class experience. Signature Hole: 17th Hole – 213 Yard Par 3 – One of the most beautiful holes on all of Kiawah Island is found here where players are presented with an attractive combination of fescue grass, sandy bunkers, manicured grass, palm trees and majestic oaks all with the sparkling blue water of the Kiawah River in the background. All of the par threes at the River course are impressive, but this one takes the cake. 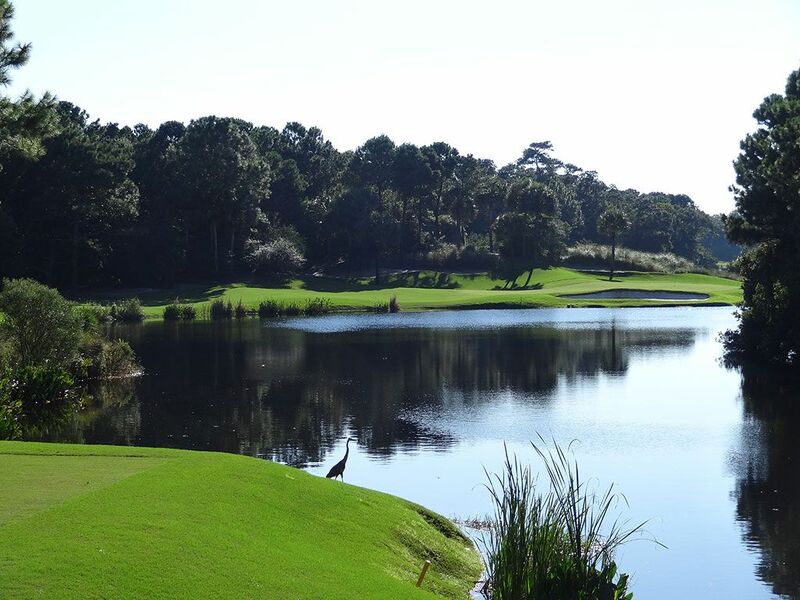 Best Par 3: 12th Hole – 202 Yards – A nice par three that plays over gator infested water, the 12th green features a large swell in it which is marked by the bunker on the right. A front left pin placement should trigger a green light for all golfers while a back right pin should create great caution as the water becomes a much larger factor to contend with. However, the swell in the green is large enough that players who hit safely to the left very well may be three putting to any hole location on the upper tier. Best Par 4: 5th Hole – 343 Yards – Short par fours should brim confidence in players and this hole is no different. A series of bunkers run up the left side encouraging players to hit out to the right unless they have a downwind and are looking to knock one close to the green. The undulated green tests your short game since your long game is given a break on this hole. Best Par 5: 8th Hole – 547 Yards – This par five becomes reachable in two for those willing to challenge the water down the right side of the fairway thus effectively cutting valuable yardage off the hole. The hole runs to the right away from the golfer the entire time thus bringing the water into consideration from tee to green. A solid risk reward hole where your successful aggressive play from the tee box will be rewarded. Birdie Time: 16th Hole – 529 Yard Par 5 – With little to contend with other than a tiered fairway, this short par five lends itself to a good scoring opportunity. Hitting a draw off the tee will shorten the hole and set yourself up well for reaching the green in two. From the left side of the fairway players will have a clean look at the green while players going up the right side will have a large oak tree to contend with on their way to the putting surface. 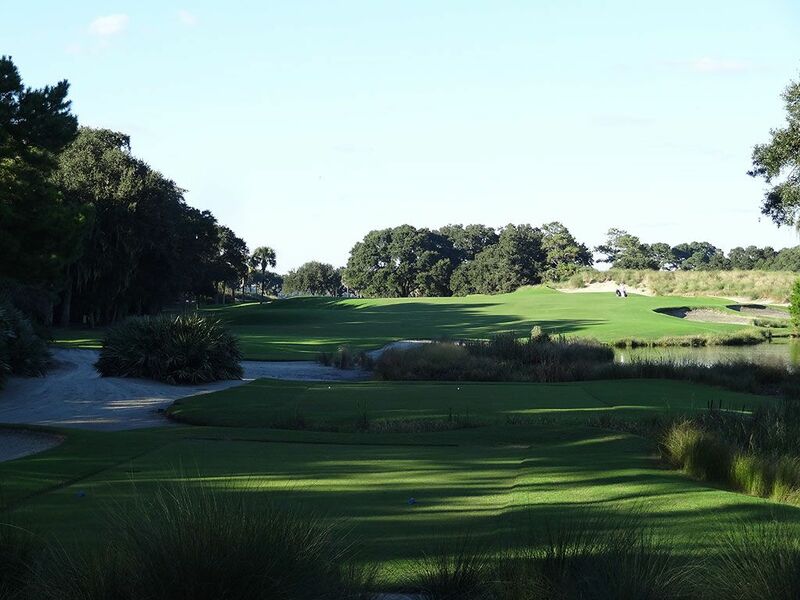 Bogey Beware: 7th Hole – 482 Yard Par 4 – Long par fours are always a bear to tackle, so when you see a nearly 500 yard hole at sea level on the scorecard you just try to minimize the damage. The fairway is pretty wide so you can swing away, but a couple of bunkers do come into play through the hole and add an extra zinger to the challenge. It takes brute length to take on this hole or a sweet short game that will save a par.